L.A. SKINS MUSIC FEST is a Native American concert series that celebrates contemporary Native American musicians. The music fest features rock, jazz, pop and blues. 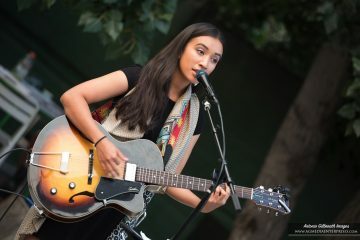 Los Angeles has the largest urban population of Native Americans in the United States, totaling 150,000, and has a vast talent pool of Indigenous musicians. The annual music festival takes place in the summer. We concert features contemporary Native American music such as pop, jazz, rock and R&B. The music fest is a dynamic collection of Native American musical talent never before seen in Los Angeles. Preceding the concert is out Native American Youth Talent Showcase. This endeavor is designed to encourage Native American youth to explore the performing arts and pursue higher education. Youth will be able to showcase their talents to the community and receive an award for their efforts. The overall goal of the project is to encourage music exploration, celebrate the performing arts and raise the awareness of young Native American musicians. The Barcid Foundation is the presenting sponsor of the 2017 L.A. SKINS MUSIC FEST. The Barcid Foundation is a tax-exempt non-profit organization that works within the multimedia sector of Indigenous communities. The Barcid Foundation is sponsoring the L.A. SKINS MUSIC FEST to offer new Native American art forms and support Native American artists. Past L.A. SKINS MUSIC FESTs have garnered support from East Hollywood, Los Feliz, United Hollywood, Echo Park, and Atwater Village Neighborhood Councils, as well as KABC-7, UCLA American Indian Studies Center, and the Southern California Indian Center.